The WWE Extreme Rules 2018 pay-per-view is presented by Monday Night Raw and SmackDown Live and scheduled for July 15, 2018 at the PPG Paints Arena in Pittsburgh, Pennsylvania. Follow along here for spoilers and information on the event's card, lineup of matches and news regarding the pay-per-view. The following are my predictions for the 2018 WWE Extreme Rules PPV. Check back for Extreme Rules 2018 results and review coverage here when the time comes.. The rematch seemed obvious, and within 5 minutes of Raw, it was confirmed. 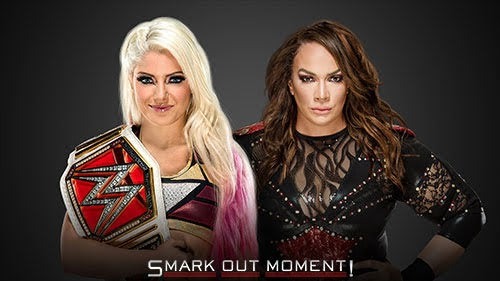 I'm not thrilled about seeing it, but it at least works in a logical sense with the title change, and it's going to eat up some time before Bliss drops the belt to Ronda Rousey, and the Extreme Rules gimmick will certainly help. Well, this started off as a "multi-man match" that was advertised as a Six-Pack Challenge in some regards, with only Roman Reigns and Bobby Lashley being confirmed, and took WWE two weeks to officially cut the rest of the people out of the mix and simply make it Reigns vs. Lashley, most likely without the true stipulation that the winner gets Brock Lesnar for the Universal Championship at SummerSlam. 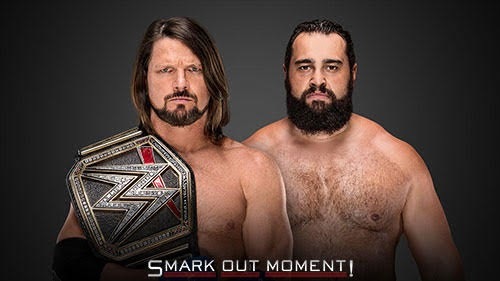 Basically, they took a match that could have been good, albeit predictable, and with something on the line that needs to happen, and opted to go in the direction of two people that aren't doing their job as the top babyface against each other for nothing but bragging rights. Poor decision. I'll obviously watch the match, as that's my job, and I hope I'm proven wrong, but I don't have any real interest in this. I just want someone else to hold the Universal Championship already. PREDICTION: Roman Reigns wins, or there's a no-contest. Definitely didn't see this coming. For a one-off, it could be pretty interesting, especially since it's unclear if Rusev is a babyface now or if he's still a heel, or a "guy that WWE doesn't want to be a babyface but gets cheered like one anyway" like he's been for a few months. I'm curious. PREDICTION: AJ Styles retains the title. So is this going to be the idea going forward, where the tag titles will be largely ignored and have to only make every other card, so they'll drag these storylines out for 2-3 months at a time? This will probably be on the pre-show, too, so it's not even like it'll mean much, and even if it's on the main card, it's a match with two jokes of a tag team. 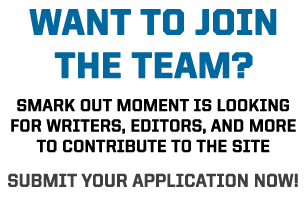 I really wish Raw had a stronger crop of teams to pick from, even if Bo Dallas and Curtis Axel have spot-on impersonations which are funny. PREDICTION: The Deleters of Worlds retain the titles. Either Asuka wins the title here to set up her against Ronda Rousey at Survivor Series, or Carmella retains and then drops it to Becky Lynch for the same reason. Part of me thinks both ways, but I'm also leaning a bit more toward Becky being that next champion, not Asuka, if not just because James Ellsworth can be a factor again. Update: Now that Ellsworth will be suspended above the ring in a shark cage, I need to adjust my thoughts and say Asuka has the advantage, as well as how I think Asuka will turn heel at some point while holding the championship. PREDICTION: Asuka takes the title. 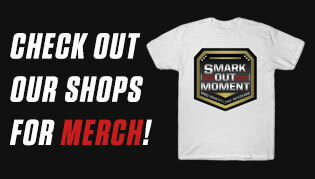 Well I definitely didn't see this one coming right after Money in the Bank, did you? I think it's interesting, though, and I'm totally on board with a short program between these teams to eat up some time. 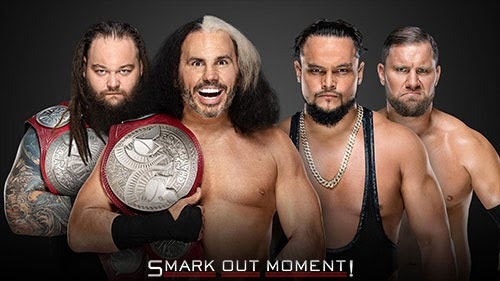 In the grand scheme of things, this probably won't matter too too much, but it still gives Harper and Rowan a team to beat and it still gives us some fun segments here and there, so it's a win. 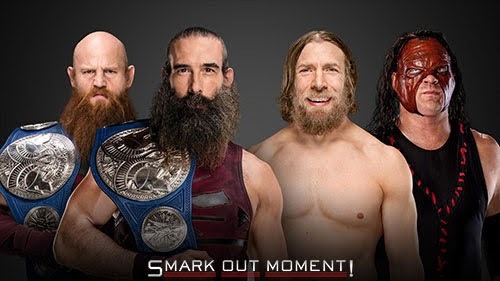 PREDICTION: As much as I'd like to think Team Hell No could win, I'm going with The Bludgeon Brothers retaining. Curious why they went with the Iron Man gimmick, but I'm not complaining. 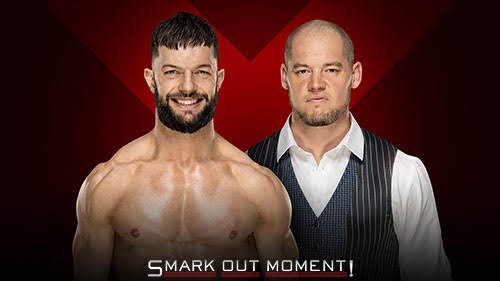 A good number of matches go close to this length, so it's not like it'll be too long, and these two can go in the ring, and I enjoy Iron Man matches. All thumbs up in my mind. I won't look a gift horse in the mouth. PREDICTION: Dolph Ziggler retains the title. I hope, for Nakamura's sake, that he wins the title. He needs it after all the losses that he had with the WWE Championship feud. Plus, if the rumors are true about Jeff's injuries, he needs to take time off to heal, rather than continue to wrestle. PREDICTION: Shinsuke Nakamura wins the championship. Makes sense to do this as a singles match when they would have been part of the nixed multi-man match. I'm not super duper amazingly anticipating it, but it should be fine. This seemed to be an obvious, with Owens continually trying to escape the arena. Good decision. This should be fun, and I'm looking forward to it. I was really hoping this would be a feud later on, with the tag titles in the mix, so I'm disappointed to see it happening already. I'd have gone with continuing the SAnitY and Usos feud instead. But hey, at least these teams are getting on the card, right? That's the positive takeaway. Also, this is the first tables match we've gotten since TLC 2016. 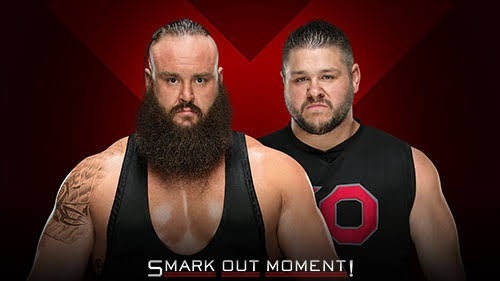 Weird that they waited so long and stretched out stalling to have this match, then they had it on SmackDown, only to have a repeat on the event to follow? Why not just save it for the kickoff? Very strange. I'm so curious what the decision making for that was. Anyway, Almas will win, because he has to. PREDICTION: Andrade "Cien" Almas wins.